There are many options for scouts wishing to gain a proficency badge, but sometimes they are unsure which one they should attempt. 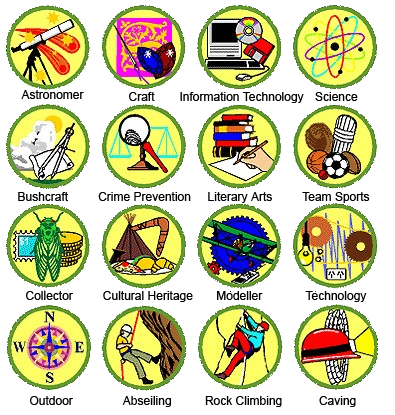 This page covers a list of suggestions for these badges based on the scouts own interests or skills, while the ideas page has examples and thoughts on covering some of the badges. 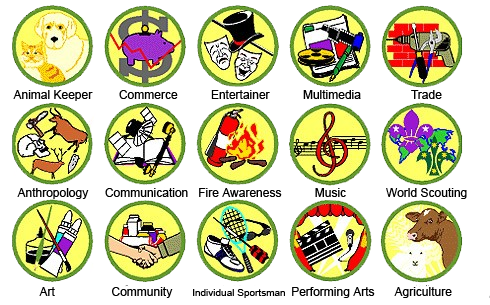 The links below outline the requirements for many of the Proficiency Badges scouts can choose to acheive. The above set of pdf pages were passed to me from elsewhere (source unknown). They appear to be up to date, as far as they have been checked. Note that only 25 of about 33 possible badges are listed here, as the others were not included in the files I received. You should also check out this page on the Scouts Sth Australia site. However - rights are given for copying and printing for personal use or use in joey-scout or similar groups. Last updated 23rd July 2012.